When faced with the dilemma of how to travel abroad alone, Sara McBride decided on an unusual solution: gingerbread men. 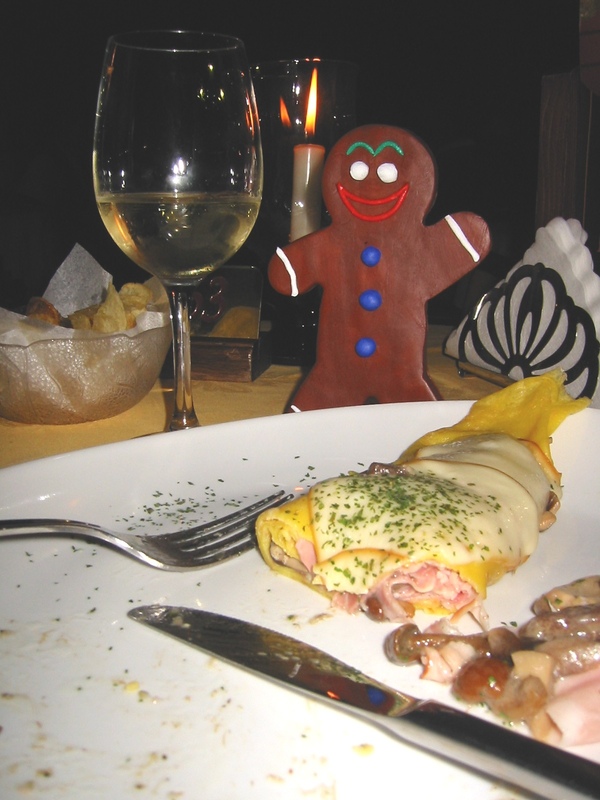 Experience these little delights in an unforgettable journey around Italy. Below are photographic accompaniments to her story “Bake Me A Travel Companion” in our first issue. What more could you want with adventure, travel, wine, food and music? Faux cookie companions. Venice, Piazza San Marco. 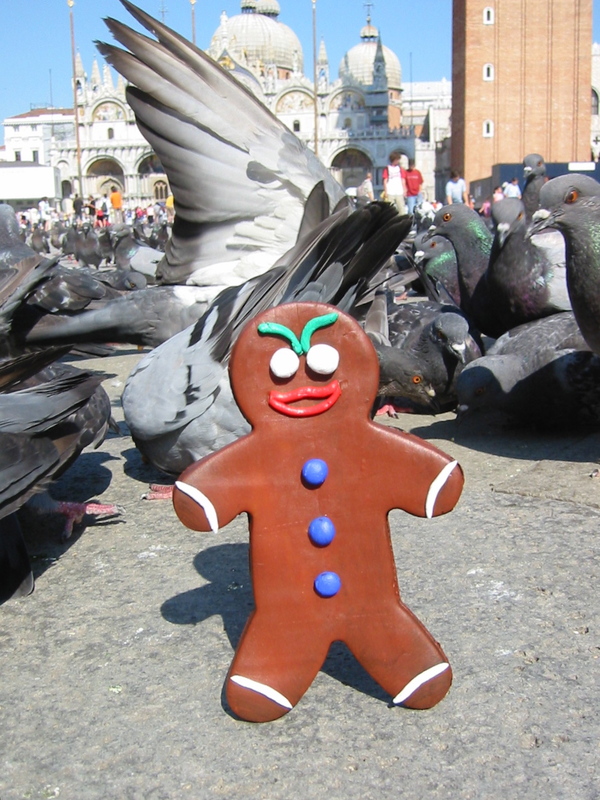 Notice the resentful look in the eyes of the pigeon on the right. 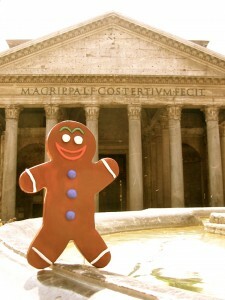 Rome, Pantheon, Mr. 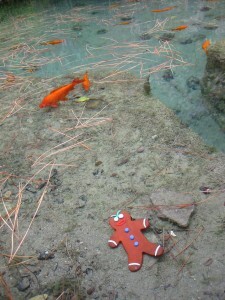 Happy was knocked to the ground and his eye broke off. But honestly, those fountain ledges are quite slippery. 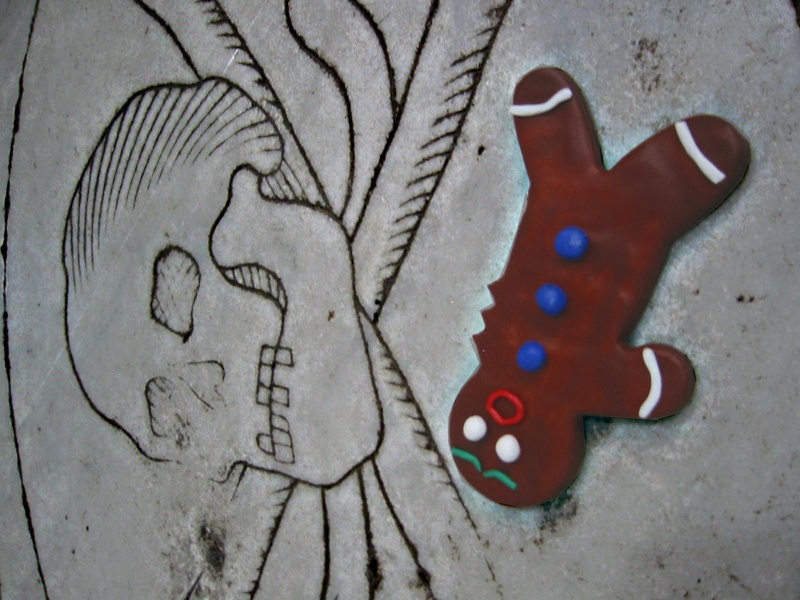 Florence, Santa Croce Cathedral, a pavement tomb of a Renaissance warrior takes a bite of the poor defenseless gingerbread man. Venice, Mr. 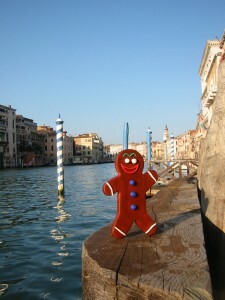 Happy enjoys the views of the Grand Canal. The photographer almost fell into the canal setting up this shot! Venice, a romantic dinner with Mr. Happy at a French cafe with wine and candlelight while being serenaded by an opera singer. Rome, Palantine Hill, a fountain without ripples. Notice the fish are on the same plane as Mr. Angry. That’s because he’s underwater. We have our first issue underway and almost complete. Our expected release date is between Friday, May 3 and Sunday, May 5. Our submissions will remain open for Issue 2 (with a release of 2-3 months down the road). To all contributors, you will receive your electronic copy via email the day of the release.